Rickey Turner’s new book “Rusk County Justice” is a compelling and raw work about social and racial inequality. 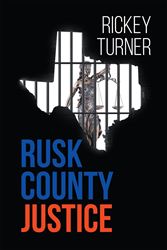 Recent release “Rusk County Justice” from Page Publishing author Rickey Turner is both enlightening and inspiring; this autobiography explains the author’s experiences and the effects racism and justice had on his life. Rickey Turner, a Veteran, retired police office, Rusk County city Judge, social activist, devoted writer and author, has completed his new book “Rusk County Justice”: a gripping and potent story about one social activist trying to make a difference by providing justice and racial equality to residents of the author’s hometown. Published by New York City-based Page Publishing, Rickey Turner’s honest work takes a unique philosophical twist with the depiction of a tragic accident and the response from others. The history of a black man in east Texas from being a boy who got to move around the world, thanks to the US Army. Turner experienced all type of cultures in the world. He came home to Rusk County to try to make a difference. Turner soon learned that racism had not left the small east Texas town. When he was in a wreck at work and was sure to die, that small town came to him with prayers. So many helped with fund-raisers and sales to help the Turner household. These are the ones you don’t see on the news. The radicals are who we see and hear all the time. Turner saw for himself that he had made a difference. He was glad to come back after he retired as a policeman as the city judge to try and help all. Readers who wish to experience this profound work can purchase “Rusk County Justice” at bookstores everywhere, or online at the Apple iTunes store, Amazon, Google Play or Barnes and Noble.